I recently attended Image Skincare's launch party to announce their new products and treatments. I am very excited to introduce these new products, so... stay tuned to hear more details about these exciting additions to enhance our skincare programs. Valentine's Day is coming up and it's time to start thinking about that special gift for that certain someone. This year, pamper your Valentine and show how much you care with one of our rejuvenating skin treatments. Not only will our treatments cleanse the skin, increase circulation and provide anti-aging benefits, but they will also relieve stress and promote a sense of tranquility. A gift certificate for one of our treatments is the perfect way to say, "You deserve to be pampered." Spoil your sweetheart with the gift of indulgence and purchase one of our gift certificates today! Microneedling therapy, collagen induction therapy (CIT), is a minimally invasive skin-rejuvenation procedure that involves the use of a device that contains fine needles. The needles are used to puncture the skin to create a controlled skin injury. Each puncture creates a channel that triggers the body to fill these microscopic wounds by producing new collagen and elastin. Through this process there is improvement in skin texture and firmness, as well as reduction in scars, pore size, and stretch marks. Micro injuries created by micro needling triggers skin cells to intensify the release of its own collagen and elastin to ease years from your skin and allows for deeper penetration of treatment solutions for optimal benefits, treating your skin from inside out and outside in. What this means is virtually painless skin rejuvenation with minimal to no downtime, and without the traumatic side effects that are common with traditional methods. So sit back and let Microneedling do its magic to bring back the youth into your skin! Freshen up your skin with this amazing package! Improving the eveness of your skin's color and removing old dead surface cells can make a huge difference in your skin's oversall appearance. My favorite way to do this is a series of Glycolic peels. I am offering an amazing package to put the glow back into your skin. This package for $435 includes: A series of 6 peels, 1 total repair creme and 1 hydrating sunscreen. Everything you need to make your skin glow!! Glycolic peels do a great job of freshing , removing stained cells, and softening the look of wrinkles and rough texture. These peels also accelerate cell turnover, which helps the skin make more hydration-binding lipids, resulting in cells plumping and looking smoother. Unlike more aggressive peels, there is no downtime with these Glycolic peels, and results can be very impressive. An anti-aging repair crème diminishes wrinkles and firms skin. Anti-oxidants nourish and hydrate to promote healthy, more youthful skin. Sheer formula spreads easily and evenly without any residue. Enriched with a blend of anti-oxidants, vitamins and green tea as an anti-inflammatory agents. Provides ultimate protection and prevention against the aging effects of the sun. Paraben and chemical free high sun protection. Expires 10/31/16 - Package must be used within 3 months of purchase. Receiving oxygen facials will provide instant effects by plumping and hydrating the skin, soften fine lines and wrinkles and un-clog pores, allowing for your skin cells to turn over much faster. The Image O2 Lift is a professional treatment designed to do just that and more. Eliminating Brown Spots Even Out Your Skin Tone with Good Care Many people develop brown spots on their skin over time, especially if they've had a trauma to their skin or spent much time in the sun. The term for these spots is hyperpigmentation, which describes an excess of pigment in the skin. Often an early sign of aging, they may first appear on the backs of hands. These spots can be faded, but patience for the process is required because repeated treatments will be necessary. It takes regular use of sunscreen to keep hyperpigmentation from returning. (Note that hyperpigmentation is different from hypopigmentation, which appears as lighter spots on the skin). Hyperpigmentation arises when melanin in the epidermis becomes irritated, so to speak, and increases production, darkening the outer skin and becoming visible at the skin's surface. Regularly scheduled professional treatments, combined with a proper home care regimen, can calm the production of melanin and lighten the skin. Hyperpigmentation takes different forms. These include: Freckles/lentigenes.These are the result of an inherited tendency; exposure to the sun will darken their color. Solar lentigenes.These darkened spots on the skin that some call age spots indicate overexposure to the sun that has resulted in ultraviolet light damage. Melasma.Melasma is a response to hormone changes, such as those caused by birth control pills, pregnancy, and menopause, resulting in facial spots. Postinflammatory hyperpigmentation.This is the direct result of an injury to the skin. The body's response to injury is inflammation. Some think this inflammation reprograms melanocytes to be hyperactive and to produce more melanin. It affects men and women equally. Some common pigmentation- causing injuries include: abrasions, cuts, and wounds; acne lesions and cysts, excoriations (picking pimples); aggressive chemical exfoliation (peels); aggressive extraction; ingrown hairs; insect bites; scratching; sunburn; and waxing. There is another type of hyper- pigmentation that is more diffused and appears as an overall darkening of the skin, rather than in patches and spots. This condition should be cared for by a dermatologist, as it may reflect a disease or systemic problem, like Addison's disease or scleroderma.) Causes Hyperpigmentation can be caused by certain prescription drugs, like antibiotics, antidepressants, barbiturates (depressants), and chemotherapy drugs. Some over-the-counter laxatives with phenolphthalein and nonsteroidal anti-inflammatory drugs (NSAIDs), like ibuprofen, can cause hyper- pigmentation. Be sure to record your use of these drugs on the intake form (or on an updated health history) when you arrive and verbally mention them to your esthetician before beginning a treatment. Occasionally, people mistake darkness under the eyes for hyperpigmentation, but this condition is a reflection of the blood vessels through the surface of the skin. These circles have a variety of causes and can sometimes be treated with peptides. While hyperpigmentation generally affects all races, some forms of it appear more often with certain skin colors and tones. For example, melasma and postinflammatory hyperpigmentation are more prevalent in darker skin. Solar lentigenes are more prevalent in lighter skin (ninety percent of white adults older than 60 have age spots); they also are more common in women than men. Prevention It's very important that you follow the instructions of your skin care professional in preparing for any skin treatments. Your skin care professional will take steps to avoid inducing pigmentation when he or she performs chemical exfoliation, extractions, or waxing. For example, you may be advised to undergo preliminary treatments or to use skin care products, or both, for several weeks before chemical exfoliation (peels) or microdermabrasion. This preparation will reduce the odds of postinflammatory hyperpigmentation and give you better treatment results when you do receive peels or microdermabrasion. To prevent sun-induced hyper- pigmentation and other skin damage, sunscreen is the most important product to use. Diligent use of sunscreen can prevent further sun damage, but it cannot repair damage already done. Experts strongly recommend using generous amounts of SPF 15 (or higher) sunscreen at all times, reapplying it every few hours. Sunscreens with avobenzone, titanium dioxide, or zinc oxide provide the most complete coverage. Even more importantly, sunscreen reduces ultraviolet light exposure, which reduces the risk of skin cancer. Treatment As a member of Associated Skin Care Professionals (ASCP), I am trained to help address questions you have about your skin and to work with you to determine the most useful care that meets your needs. The treatment of brown spots can be highly effective, but it takes a bit of time. Professional treatments for hyperpigmentation may include chemical exfoliation or micro- dermabrasion in combination with topical products. Or, topical treatments may be used alone. Your esthetician can best determine what will bring you the greatest results. Again, following the directions for home care after professional treatments is very important to your success. Make the most of the time and money you've invested in your treatments by following up on your esthetician's instructions. This highly effective treatment blends lactic and kojic acids with a cocktail of lightening agents to reduce pigmentation. Enjoy the relaxing massage , of layers of pharmaceutical strenghth products being worked into the skin. As the weather warms up, we think now is the perfect time to come in and discover services and products to help maintain healthy, radiant skin. Our services are designed to enhance your natural radiance and protect your skin from the drying effects of the summer season. More good news !! Outer Image Spa is introducing The Lightening lift peel. This highly effective treatment blends lactic and kojic acids with a cocktail of lightening agents to reduce pigmentation and redness caused by Rosacea. As the days grow longer we know that spring is on the way. This is the perfect time to make sure your skin is ready for a new season with our Signature Facelift treatment-a results-driven treatment will change the Image of your skin in just one session. Vitamin C, alpha and beta hydroxy acids, and gentle yet effective enzymes speed up cellular turnover lightening, tightening and brightening all skin types, even Rosacea and sensitive skin. Schedule your appointment today. . Let us help you look relaxed and rejuvenated as the dash into spring begins. Schedule an appointment today! Many people develop brown spots on their skin over time, especially if they've had a trauma to their skin or spent much time in the sun. The term for these spots is hyperpigmentation, which describes an excess of pigment in the skin. Often an early sign of aging, they may first appear on the backs of hands. These spots can be faded, but patience for the process is required because repeated treatments will be necessary. It takes regular use of sunscreen to keep hyperpigmentation from returning. (Note that hyperpigmentation is different from hypopigmentation, which appears as lighter spots on the skin). Hyperpigmentation arises when melanin in the epidermis becomes irritated, so to speak, and increases production, darkening the outer skin and becoming visible at the skin's surface. Regularly scheduled professional treatments, combined with a proper home care regimen, can calm the production of melanin and lighten the skin. Freckles/lentigenes.These are the result of an inherited tendency; exposure to the sun will darken their color. Solar lentigenes.These darkened spots on the skin that some call age spots indicate overexposure to the sun that has resulted in ultraviolet light damage. Melasma.Melasma is a response to hormone changes, such as those caused by birth control pills, pregnancy, and menopause, resulting in facial spots. Postinflammatory hyperpigmentation.This is the direct result of an injury to the skin. The body's response to injury is inflammation. Some think this inflammation reprograms melanocytes to be hyperactive and to produce more melanin. It affects men and women equally. Some common pigmentation- causing injuries include: abrasions, cuts, and wounds; acne lesions and cysts, excoriations (picking pimples); aggressive chemical exfoliation (peels); aggressive extraction; ingrown hairs; insect bites; scratching; sunburn; and waxing. Hyperpigmentation can be caused by certain prescription drugs, like antibiotics, antidepressants, barbiturates (depressants), and chemotherapy drugs. Some over-the-counter laxatives with phenolphthalein and nonsteroidal anti-inflammatory drugs (NSAIDs), like ibuprofen, can cause hyper- pigmentation. Be sure to record your use of these drugs on the intake form (or on an updated health history) when you arrive and verbally mention them to your esthetician before beginning a treatment. Occasionally, people mistake darkness under the eyes for hyperpigmentation, but this condition is a reflection of the blood vessels through the surface of the skin. These circles have a variety of causes and can sometimes be treated with peptides. While hyperpigmentation generally affects all races, some forms of it appear more often with certain skin colors and tones. For example, melasma and postinflammatory hyperpigmentation are more prevalent in darker skin. Solar lentigenes are more prevalent in lighter skin (ninety percent of white adults older than 60 have age spots); they also are more common in women than men. It's very important that you follow the instructions of your skin care professional in preparing for any skin treatments. Your skin care professional will take steps to avoid inducing pigmentation when he or she performs chemical exfoliation, extractions, or waxing. For example, you may be advised to undergo preliminary treatments or to use skin care products, or both, for several weeks before chemical exfoliation (peels) or microdermabrasion. This preparation will reduce the odds of postinflammatory hyperpigmentation and give you better treatment results when you do receive peels or microdermabrasion. To prevent sun-induced hyper- pigmentation and other skin damage, sunscreen is the most important product to use. Diligent use of sunscreen can prevent further sun damage, but it cannot repair damage already done. Experts strongly recommend using generous amounts of SPF 15 (or higher) sunscreen at all times, reapplying it every few hours. Sunscreens with avobenzone, titanium dioxide, or zinc oxide provide the most complete coverage. Even more importantly, sunscreen reduces ultraviolet light exposure, which reduces the risk of skin cancer. As a member of Associated Skin Care Professionals (ASCP), your esthetician is prepared to help address questions you have about your skin and to work with you to determine the most useful care that meets your needs. The treatment of brown spots can be highly effective, but it takes a bit of time. Professional treatments for hyperpigmentation may include chemical exfoliation or micro- dermabrasion in combination with topical products. Or, topical treatments may be used alone. Your esthetician can best determine what will bring you the greatest results. Again, following the directions for home care after professional treatments is very important to your success. Make the most of the time and money you've invested in your treatments by following up on your esthetician's instructions. 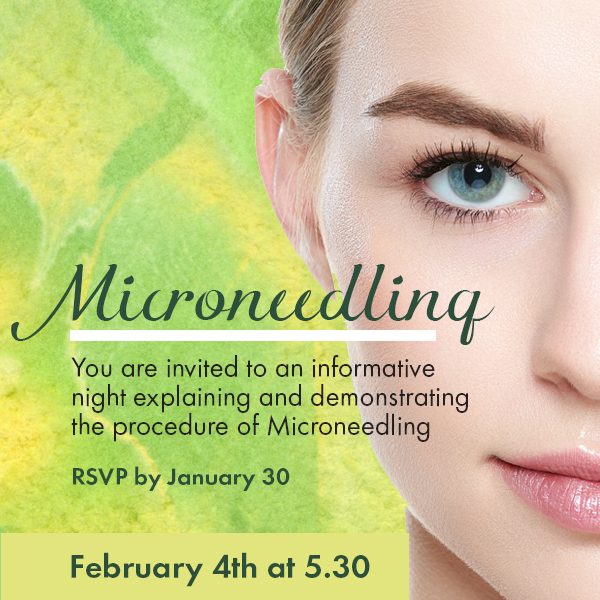 See our March Special for Microdermabrasion. The recommended treatment for hyperpigmentation. As we age, the oxygen levels in our facial tissue naturally decline, decreasing blood circulation and causing our skin to look dull. By applying oxygen directly to your face, you can bring back that radiance, freshness, clarity and the firmness of your youth. Oxygen not only softens fine lines and wrinkles, but also kills bacteria, giving the skin a clearer looking complexion. The skin will be smoother, thus making makeup application easier. This season was all about the Transformers (movies, planetary alignments - you name it, it's been a time of change) and now it’s your turn. Transform your dull, stressed skin into a positively radiant complexion. With one of our tailored facials, we’ll make sure you showcase silky, soft skin all season long. Try the new O2Lift facial which exfoliates the skin with enzymes, infuses oxygen and stem cells into the skin. Make an entire event of it and invite your friends to pamper themselves with you. Schedule an appointment today. Exciting news, Outer Image Spa has a new treatment that safely removes moles, warts and skin tags with a all natural product. No cutting, no scarring and very safe. Outer Image spa has several effective treatments to improve the appearance of the skin by removing and lightening brown spots. Combining these excellent products in your daily regimen with a Microdermabrasion treatment results in remarkable improvement to the skin. What Anti-Aging Product Will Work For You. It was developed in the late 60’s by Albert Kligman, Ph. D. as an acne treatment. Kligman noticed that Retin A also improved wrinkles and skin tone in acne patients. Kligman patented Renova, a tretinoin in an emollient base, which was the first FDA- approved topical treatment for wrinkles and fine lines. That was about 18 years ago, and retinoids still star in everything from moisturizers and serums to eye and neck creams. Dermatologist claim that that there is not a single class of ingredient that can rival the track record that retinoids have for proven scientific results that show smoother, firmer skin, a more even tone, fewer breakouts and tighter pores. Retinoids are amazing multi- taskers. By acting directly on the DNA in skin cells, they boost the many cell functions that tend to slow down once we hit 30. Retinoids increase cell turnover, so the skin is continually sloughing off damaged cells and allows healthy cells to be on top. This is what gives the skin a radiant and healthy look. Retinoids also thin the top layer of the skin, the stratun corneum, while thickening the second layer, the epidermis, which is the mattress layer that supports the skin. This is as a result of the retinoids boosting the production of collagen, one of the skin’s primary support structures. Wait, there is still more. Retinoids help keep the tissues hydrated, help clear dead skin cells, oil, and debris from the pores, leaving them less distended, resulting in minimizing pore size. It is best to be under the care of an Esthetician or doctor who can monitor your regimen and tweek it as needed. Higher levels may result in quicker benefits, but can be accompanied with redness, drying, peeling and flaking. A smart regimen is key to optimizing results and minimizing irritation. As retinoids make the skin more sun sensitive, it is best to apply at night. A broad spectrum sunscreen must be used during the day. ∗Wash the face before bedtime with recommended cleanser. Avoid granulated types. Wait about 20 minutes to avoid stinging. ∗Take a dime size amount of your retinoid product and smooth it onto your face, neck, décolletage and carefully near the eye area. ∗Follow up with nighttime moisturizer. For sensitive skin, apply moisturizer before the retinoid to reduce redness. This will not compromise the results. ∗If you can not tolerate the burn, wash the retinoid off after 15 minutes. This will only slightly decrease the benefits. It is recommended to use it twice weekly for two weeks, then increase to three times a week. Back off if you notice irritation. With proper technique and regular use , you will eventually tolerate the retinoids. Outer Image Spa has a excellent Retinoid product from Image Skincare . Everyone thinks of skin with fine lines and wrinkles as just another product of getting older. Consistent sun exposure, the weather and lack of skincare can all lead to skin aging before its time. Learn the three major signs of aging and how to combat their effects on the skin. One of the first signs that women in particular notice is fine lines around the eyes. The skin around your eyes is especially vulnerable to lack of moisture and sun damage. Anti aging products such as the MAX Eye Creme and the Ageless Total Eye Lift Creme can help tighten the skin around the eyes. Choose an eye cream that contains moisturizing and natural ingredients to prevent future lines. Another sign of skin that is aging prematurely is dull skin tone and rough skin texture. As we age, our cell turnover rate declines. This can lead to uneven coloration and dry spots. Choose anti aging products such as a daily face cleanser and face cremes that can resurface your skin. Our Ageless Total Facial Cleanser gently exfoliates to remove dull skin. The Ageless Total Retinol A Creme works to rejuvenate skin texture by restoring collagen and moisture. Sagging skin is often associated with aging, but it can occur earlier due to sun damage or weight loss. Preventing and repairing this damage is accomplished by using anti aging products that contain glycolic and retinol compounds to restore elasticity. Retinol (Vitamin A) is essential for aging skin as it helps to stimulate the fibroblasts which produce collagen. It is a key ingredient of the Ageless Total Repair Creme, which works to firm skin by combining both hydrating hyaluronic acid and Shea butter.The Max serum contain peptides that stimulate the production of collagen. The best defense against preventing these signs of aging is to begin a daily skin care regimen. Daily exposure to the elements and loss of collagen are unavoidable, but using the right products can maintain your skin’s radiance. Choose a cleanser, anti-aging and repair cremes that work in combination to provide rejuvenation, resurfacing and repair. These are the reasons I attend the International Esthetics, Cosmetic & Spa convention in Fort Lauderdale. It is an opportunity to see what is new in my industry and to attend advanced education workshops. It is fun shopping for new products for the Spa and learning about new services. So what did I bring home with me this year. I am excited to offer a new shea suger scrub for the face, which exfoliates the dead skin and leaves the face feeling silky smooth. Shopping for new make-up colors is always fun. Book a makeup lesson and try the new colors. Two new facial services will be coming soon to the Outer Image Spa. Check your email for the announcement. Outer Image Spa offers services and products that provide you with these essential anti-aging ingredients. Four phases of this machine work in conjunction with specially formulated products to penetrate beyond the epidermis and provide rejuvenating and firming results. An ultra hydrating anti-aging polypeptide lip complex, which dramatically enhances the appearance of lip contours. Adding up to 40% more moisture, volume and reducing fine lines with repeat usage. Use of this product will compliment professional dermal fillers. This is the perfect time to do permanent make-up. No hassle doing makeup for the holidays. Always look your best with no effort. Summer is a time many businesses are offering discount coupons to bring in new customers. Outer Image Spa values its customers and would prefer offering specials to its existing customers to thank them for their loyal support. Starting June 20th, daily deals will appear on my website www.outerimagespa.com . So visit the website to take advantage of the discount offers, which will change every 3 days and will be valid for 3 days only. Start with the first offer of $20 off a Microdermabrasion treatment. Image skincare was chosen to be the official skincare for Miss Universe, Miss Teen and Miss USA. So all you clients using Image skincare are going to be as beautiful as the contestants. A universal foaming cleanser that rinses away makeup and oil, balances the PH of your skin and eliminates the need for a toner. A gentle Glycolic Acid blend begins the exfoliating process to reveal smoother skin. Ideal for all skin types. A pharmaceutical grade Vitamin C serum that immediately minimizes and soothes the visible effects of environmentally damaged skin. Vitamins A,C and E and anti-oxidants nourish the skin to create healthy, youthful glowing skin.